EFT (also known as Tapping) is a three-minute process that’s easy to learn and can bring immediate and satisfying emotional release. Tapping or EFT helps release release distressing emotions, leaving you with increased calm and confidence. As an anxiety therapist, I use Tapping and EFT with my clients because it is especially helpful in reducing anxiety, panic, stress, worry and fears of all kinds. Like Reiki and other forms of energy healing, Tapping and EFT are based on the idea that there is a “life force energy” flowing through all living things. This vital energy of life is called “ki” or “chi” or “prana” in various Eastern traditions. 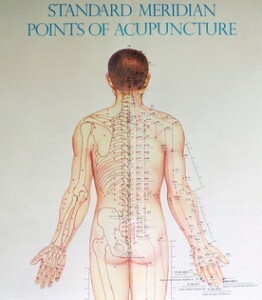 Thousands of years ago, the Chinese mapped out the energy pathways of the body into a system of energy “meridians.” These meridians are central to Eastern wellness practices, acupuncture, acupressure, and a wide array of other healing techniques…including EFT. EFT is based on the premise that there is an emotional contributor to all dis-ease (physical, psychological, emotional). Stress can eventually show up physically in the form of pain and dis-ease. The medical community is increasingly telling us that in order to improve physical conditions such as anxiety, depression, headaches, high blood pressure, irritable bowel syndrome, acid reflux and more (! ), that we need to reduce stress. What Can I Use EFT / Tapping For? EFT Founder Gary Craig says “Try it on everything” because there are very few or no negative side effects of EFT. Tapping doesn’t do everything for everyone. If it was an instant solution to all problems, everyone in the world would be doing it and there would be no problems. If you’ve been carrying around chronic stress, pain, or dis-ease for many years, it will take time to get to the root cause of the problem to heal and release it. And it can be most effective when EFT / Tapping is combined with other tools or treatments, especially for holistic anxiety treatment. EFT or Tapping is not a substitute for medical or mental health treatment. It can be a wonderful, integrative adjunct to other treatments. 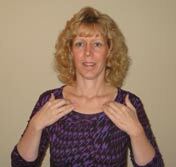 First, learn the Tapping / EFT basics. Next, learn to customize EFT for YOU and your specific issues. Now you have a powerful tool you can use on your own, when you need it most. You can use it right in the moment of high anxiety, panic, or distressing emotion to help you feel more calm and grounded immediately. As an experienced therapist and EFT practitioner, I offer a wide array of tools and techniques to help resolve your particular problem. EFT is just one tool. My clients see the best long-term results come from integrating tools that help heal body-mind-spirit-emotions-energy. AND learn to do EFT yourself! 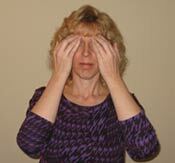 Learn and practice EFT focused on your particular problem.